I've professed my love for Tara Lynns before, but oh my goodness! When I got this blanket scarf (mine is the white plaid) and vest in the mail last week I couldn't wait to get them on!!! The puffer vest is a really soft material and it's actually a woven fabric, not a screenprint. I wore it with floral, but I think it will be super fun with plaid and chambray as well. Definitely a new FAVORITE in my closet! I did order up a size to accommodate layering... so keep that in mind if you decide to order. And since several people on IG asked, the polish is Shoshanna by Julep. If you haven't heard of Julep before, it's s super fun cosmetics company and you can sign up for their Maven program where you get two fun polishes and a beauty product once a month! It is FA-REEZING here (we're talking like 22 degrees!!!) and I have been wearing my UGG Slippers and blardigan every chance I get. Mine are actually this fun fuschia color in a size 3. I'm normally a size 6.5, so if you're my size (or a few bigger or smaller) you should try out the kids sizes for $20 less and some fun color options. Jack Bauer is everybody's FAVORITE right now :) He's really coming into his own, getting comfortable and letting his little personality show. He's playful and sweet and is doing great with house training. Despite the arctic blast happening - my typically dark nails were screaming for something light and bright. Essie's Shop Till I Drop did the trick! It's super unlike me, but I'm loving it! Wednesday night I made my family's favorite pasta and I thought I'd share! It's CRAZY easy and majorly delicious. Gourmet? No. Cheesy and amazing? Yes. I started off with a jar of alfredo sauce and a jar of marinara, a box of penne pasta, mozzarella and Parmesan. Mix together the sauces and 2 cups of mozzarella. Bake at 350 for about 30 minutes or until hot and bubbly. Sprinkle on some Parmesan cheese and pop it back in for about 5 minutes or until the cheese is melted. I didn't take a pic of it after because my crew was too busy chomping it up with grilled chicken. I did snap a pic of it in my awesome lunch container with leftover chicken parm pre-lunch duty yesterday :) Trust me. It's delish! My absolute FAVORITE moments from this week have been watching some of our best friends travel halfway around the world to bring home their little girl. It's been amazing to watch the Shull's story unfold over the past several years - from a conversation that I will NEVER forget when Shay and I were driving our kids through Christmas Journey three years ago to this pic :) Witnessing the amount of love and prayer that's already been poured into this sweet girls life has been incredible. Hurry home, Shulls!!! There's a possibility of snow this weekend, which means there's an equally likely possibility that I will not change out of my pjs, will drink copious amounts of hot tea and bake a bunch of stuff that I don't need to eat :) Sounds like fun! PS - This post contains a few affiliate links - which means that if you click and decide to purchase, I'll receive a small commission. Thanks so much for reading and supporting my blog! Love y'all!!! I completely agree...Shulls, get home!!!! ME TOO! I have to wait until he's out of town or I have a girls night to get my fix! The recipe looks delicious. Just curious, did you add grilled chicken to the dish before you baked it or serve it to the side? I love everything about this post! I love the puppy, the nail color, the teeny tiny ponytail, the slippers, and that a sweet little girl now has a family. And I cannot wait to try that pasta! Have the best weekend!!!! My Ugg slippers are my favorite too! I've had them for 2 years now & they've held up great. If I was Shaeffer, I'd name them a must have. Also, Ashby has been a favorite part of my week too. I am so excited for them & dont' even know them, so I can only imagine how you all feel! Jack Bauer is so TINY! I love that he's a blur in almost every picture. Looks like he's enjoying being a part of your family. That pasta looks delicious! Definitely going to try your recipe out! That recipe looks delicious! And I live in the Dallas area too and have been wearing my UGG slippers non-stop as well! Is it spring yet??? Oh my goodness, that pasta looks amazing!! Pinning it right now for one of my reward day meals!! Also, that puppy and the puppy pictures....too cute!! It's been freezing here all week. I can't wait to stay home in my pj's all weekend!! new to the linkup this week!! And a new follower! Have those slippers, love them! And I might just have to test out that recipe something, looks delish. Just wondering, I sent you an email earlier this week (and I know you are busy!) and just wanted to check in with you. Thanks! TGIF!!! Griffin's delighted eyes in that close-up of her and Jack might be the cutest thing I have ever seen! I feel ya on the polish, girl! I had to go with a lighter color myself!! And that sweet puppy, OH. MY. Have a great weekend!! Eeeekkk!! so many awesome favorites!! *Why are footed pjs so stinking cute! I dread the day my kids grow out of them! * I LOVE the all the pictures with Jack!! So darn sweet! *that pasta is one of our family favorites! super quick and super yummy!! Gotta try that pasta...looks so easy! Thanks for hosting the linkup and have a good weekend! Andrea, what kind of chicken do you use with the pasta? 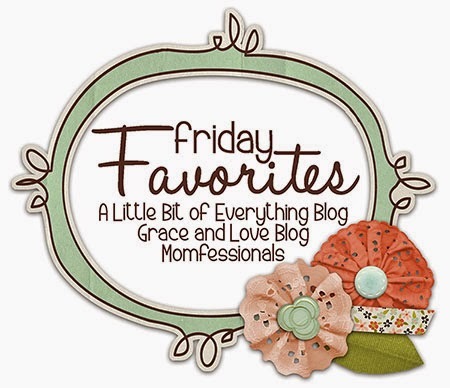 Love Friday Favorites. Andrea -- I have basically made every meal you have posted on your site -- tortellini soup -- check, multiple times, chicken pot pie -- check, made for my family and for a meal for friends that have had babies, enchiladas, check, check. And now this is on my meal plan for this week. 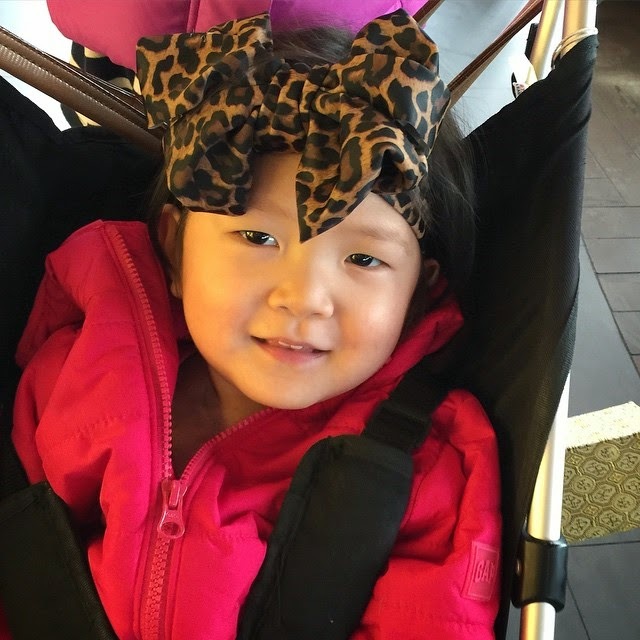 Most importantly I want to tell you that there are very few blogs written by working moms. That is why I always know I can count on your recipes and organizing posts to be perfect for me - a mom with a schedule like mine. The way I see it -- you have a mission from the Lord on this blog -- to bring encouragement to all. So keep on keeping on! 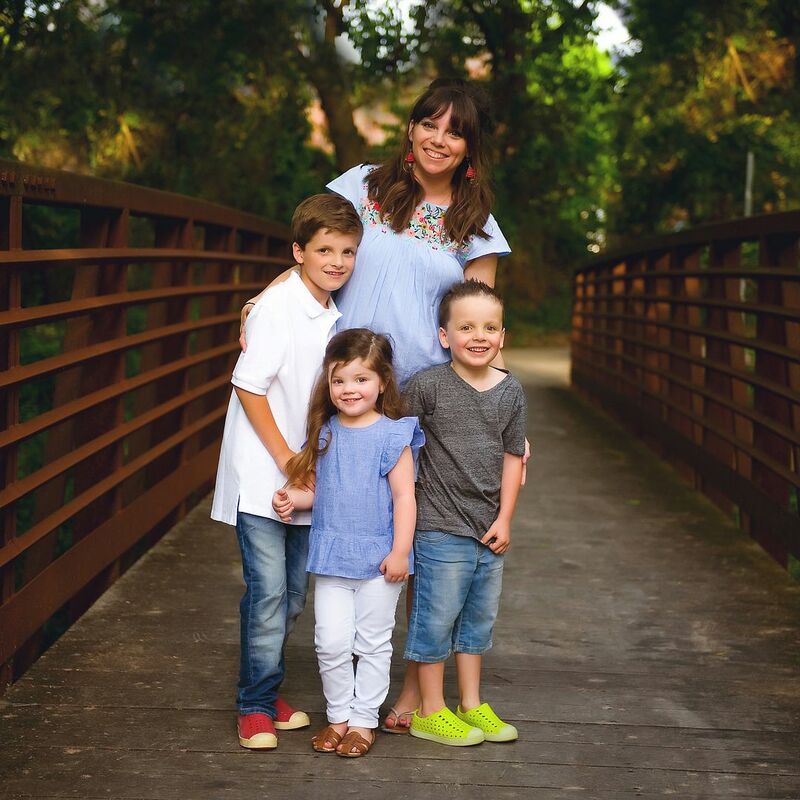 Your working mom perspective on life is so helpful and encouraging to me!! i noticed you used emerils sauce, does it taste different from other sauces that are not as pricey (prego, classico). Thanks! Out to get the ingredients to make a test batch.